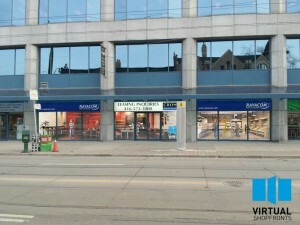 VIRTUAL SHOPFRONTS TO APPEAR IN CANADA! 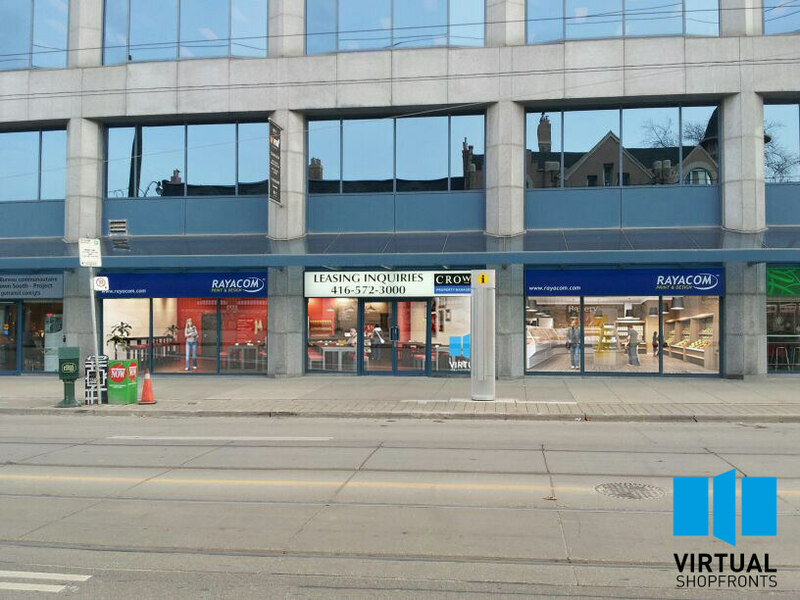 Virtual Shopfronts are delighted to announce that we are about to install two of our Virtual Shopfronts in the following vacant retail premises in downtown Toronto. 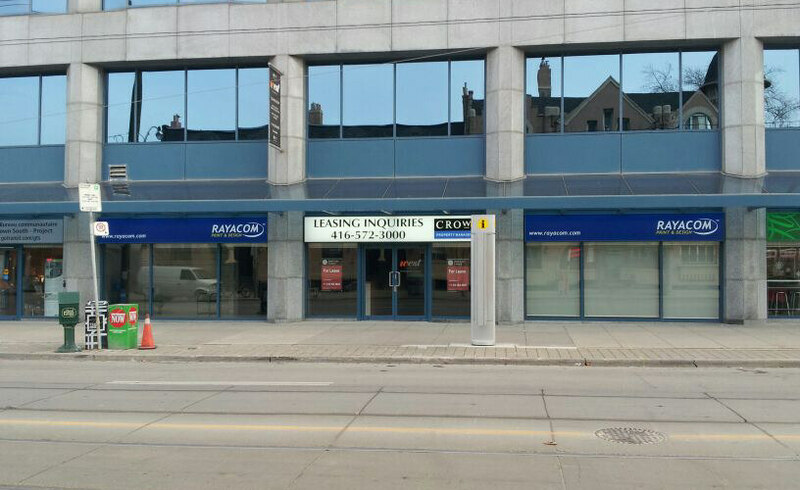 Virtual Shopfronts were approached just before Christmas by Jones Lang LaSalle Canada to take a look at the above vacant retail premises. 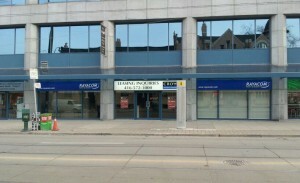 The vacant units are in a busy retail part of the city and JLL want improve their appearance. 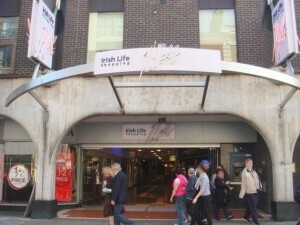 However their main goal is to attract attention and ultimately do something that will help let the premises. Traditional methods of letting or selling a vacant retail unit is to have the selling agents logo appear in the window of retail units containing basic contact details. However with the recession still biting hard this form of advertising no longer grabs attention. 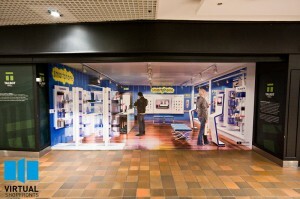 Something different needed to be done and that something are the Virtual Shopfronts. 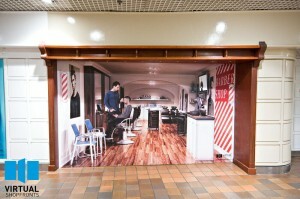 Nicholas Polley, our Managing Director of Virtual Shopfronts is very excited with this particular project and what it could lead to. 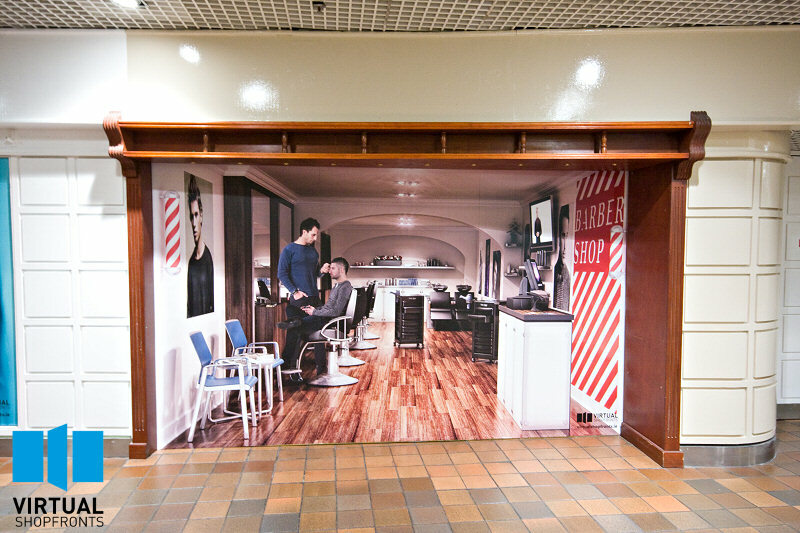 ” We are all really very excited that our Virtual Shopfronts will be appearing in Toronto and we believe that they will be the first of many to appear abroad. These are the first installations outside of Ireland but we never expected them to be as far away as Canada. That said there is no difference to us whether it is Canada or our nearest neighbour, the UK, because the same processes apply”. What helps clients greatly is the digital mock-up we do for every Virtual Shopfront we are going to install (see below). Whilst this is not an exact representation of scale or how the installed product will look, it does give our client a very good understanding of the installed product. This digital mock-up is provided free of charge when we submit a proposal. For this project, the final graphics are in the process of being signed off and once this happens they will be sent electronically to the client for local printing and installation. 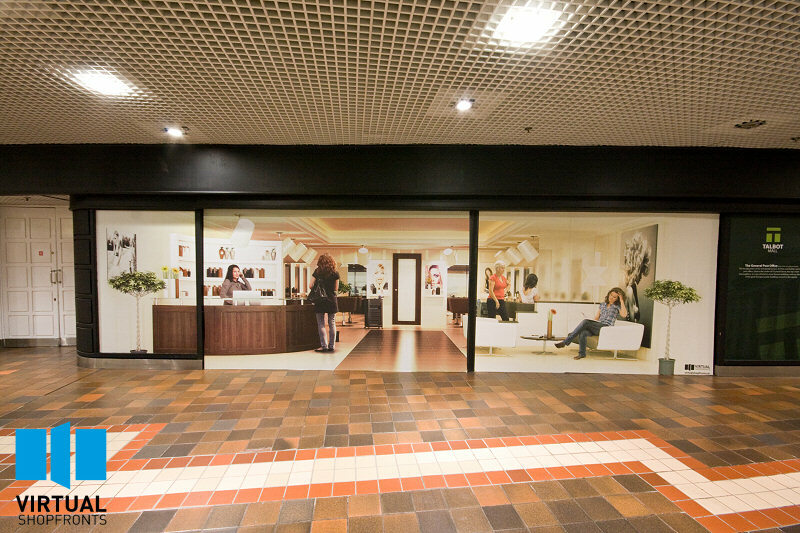 It’s an exciting time not only for Virtual Shopfronts but for the client who cannot wait to see the vacant retail units transformed. 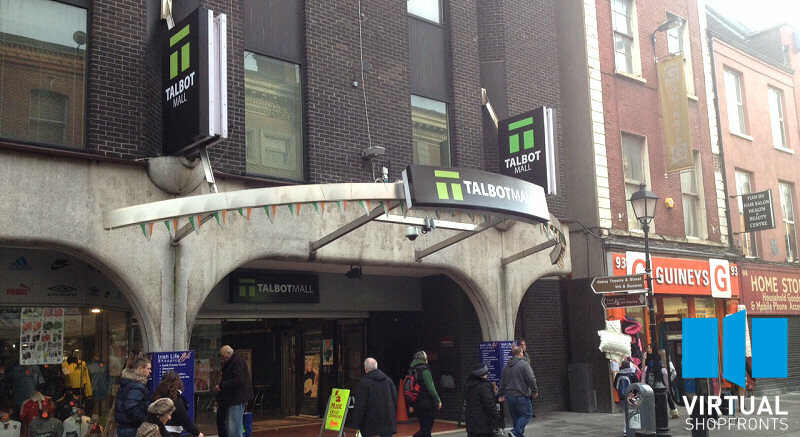 If you have a vacant retail premises and you are interested in boosting it’s chances of being noticed and being sold or let quicker than expected, then get in touch with us and we can help. 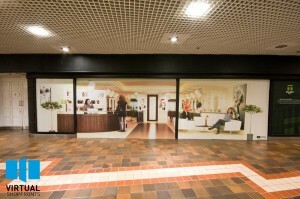 You can view our library of Virtual Shopfronts and the ones we have installed here and learn what Virtual Shopfronts are from watching the video here.